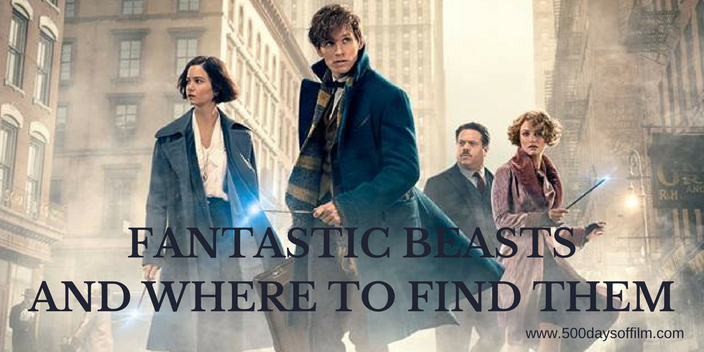 When magizoologist Newt Scamander arrives in 1920s New York, he has a suitcase full of fantastic beasts but no idea of the dangerous that surround him. For, within the City lurks something mysterious and destructive, threatening to expose the magical populace to the Second Salemers, a fanatical faction of No-Majs (an American term for Muggles) determined to eradicate the wizarding community. Meanwhile, the illusive, dark and powerful wizard, Gellert Grindewald, also threatens their repressed way of life. As the wizarding world teeters on the brink of war, Jacob Kowalski inadvertently lets some of Newt’s beasts loose. It is hard to think of a franchise more beloved than that of the Harry Potter series. As such, five years after our final trip to Hogwarts, Fantastic Beasts And Where To Find Them has a tough act to follow. As a result, I was slightly nervous about this movie. Would it inspire the wonder, awe and magic of the Harry Potter films? Would it introduce characters that we will love as much as Harry, Ron and Hermione (et al)? Would it introduce a villain as iconic as he who must not be named? However, as the film began, I immediately felt safe in the hands of director David Yates (responsible for the final four Harry Potter movies) and screenwriter JK Rowling. Fantastic Beasts is a hugely enjoyable movie. While it doesn’t feel quite as magical as the Harry Potter films, there is tremendous potential here for an exciting and entertaining new franchise (potentially comprising five films). Rowling has created a far more grown up world - one focused on adults rather than children. However, there is something undeniably childlike about Newt Scamander. Played with endearing charm by Eddie Redmayne, Newt is far more comfortable in the company of beasts than among his fellow humans. However, all that changes after he arrives in (a stunningly recreated) New York. Here he meets and befriends no-maj Jacob (a wonderfully warm and funny performance from Dan Fogler), federal wand permit officer (and ex-Auror), Tina Goldstein (Katherine Waterston) and her glamourous, telepathic sister, Queenie (Alison Sudol). The quartet form a strong bond as they race around New York City after a group of the most fantastic beasts. Crucial to the film’s success, was its ability to create (and bring to life) some truly fantastic beasts. There are 85 such creatures in Rowling's book - obviously too many for one film to handle. Sensibly, therefore, Yates concentrates on the impact of a glorious few. We have, among others, a kleptomaniac Niffler (above), tiny groot-like creatures called Bowtruckles, a Thunderbird (called Frank) that can create weather and a super-strong primate-like beast called a Demiguise. These beasts are funny, cute and gorgeous to look at - your basic marketer’s dream. However, Fantastic Beasts also introduces an entirely darker creature - the Obscurus. This beast sits alongside the more disturbing (and often painfully relevant) aspects of the film. Caught up in this darkness is Samantha Morton’s superb portrayal of Mary Lou, an influential Second Salemer, and her son, Credence (brilliantly played by Ezra Miller). 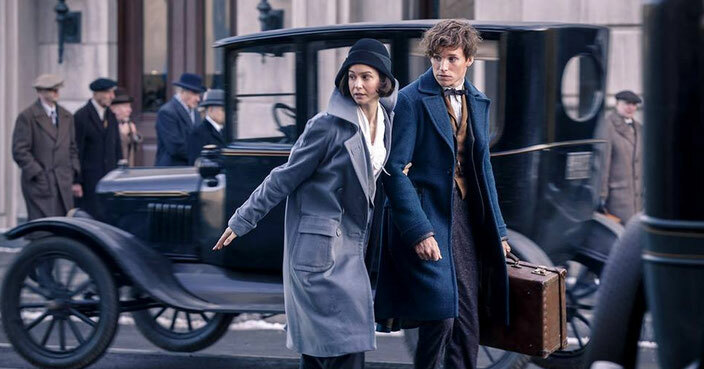 As Fantastic Beasts moves into its final act, so the film's action roots begin to show. There is, for a wizarding community fearful of exposure, a barrel-load of bashy smashy. Buildings are destroyed and streets are torn apart. development (of which I wanted more). In addition, the film does not manage to create the threatening atmosphere that the Harry Potter franchise established. However, Fantastic Beasts And Where To Find Them is a great ride and this is, of course, only the beginning. I'm no fan of 3D but it is well worth it here! Is Fantastic Beasts scary? Not really. There are a couple of unsettling moments (coupled with some loud bangs) that push this movie into 12-rated territory but it is in no way as dark as the final Harry Potter films. The sequel to Fantastic Beasts is already underway. This next film in the franchise will (reportedly) be set in Paris. Fantastic Beasts was originally conceived as a faux-documentary. However, JK Rowling had far grander franchise-worthy ideas. The beasts, while undeniably fantastical, are all based on a real animal or bird. As I watched, I began to wonder at the marketing potential of all of these creatures. Who wouldn’t want their own cuddly Bowtruckle or Niffler? Cha-ching! JK Rowling drew the original illustrations for the Fantastic Beasts And Where To Find Them book. Fantastic Beasts And Where To Find Them was not shot in New York or even America but at Leavesden Studios near Watford. The remarkable sets are truly glorious in their visual detail. Eddie Redmayne auditioned for the part of Tom Riddle in Harry Potter And The Chamber Of Secrets. Let me know in the comments section below. You can also find me on Twitter @500daysoffilm. Good review... Hopefully, I get to mine tomorrow. I was disappointed in the movie but I did like parts of it. The end finally ramped up to something enjoyable but by then it was too much to overcome what I felt was mostly mediocre. Maybe my expectations were too high.